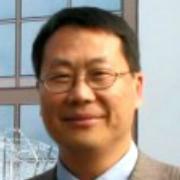 YANG Jian：Born in 1962, Vice President of Shanghai Institutes for International Studies (SIIS). He received his doctorate in economics from Shanghai Academy of Social Sciences (SASS). In addition, Yang Jian has his master's degree in history from Soochow University. His key areas of specialization include: the International Political Economy (IPE), China’s regional strategy in Asia, the cyber governance and the Arctic affaires. Prior to joining SIIS, YANG Jian was the deputy director of the department of IPE in the Institute of World Economy, shanghai Academy of Social Sciences (SASS), and served as the deputy secretary general of the Center for Taiwan Studies in SASS. From 2006 to 2008 he worked as a member of the editorial board for Review of Policy Research, a journal of the political section of the American Political Science Association. Since 2011 he has been served as a member of the editorial board of Arctic Year book. New Perspectives on the Arctic Governance (2014). The Power and Wealth in Cyberspace (2012). On the Arctic Governance Regimes and Non-Arctic nation’s participation,Journal of Social Sciences, No. 1, 2014. The Arctic Sea Routes: EU’s Policy Orientation and Diplomatic Practices. Pacific journal, No.4,2013. Exploring the Cyber Frontier: How the U.S.’ Cyber Imperialism formed. International Review .No.2, 2012. Open Source Software: An Analysis on the Cyber Community as a Producer. World Economy Study，No.1,2012. The Structure of the U.S. Dual Strategic Partnership System and Its Adjustments. Contemporary International Relation,.No.10,2011. Power Relationship and the Resource Distribution in the Cyber-space. International Relation Studies, No.1, 2008.